(Newser) – A man in custody in Colorado has confessed to fatally shooting 19-year-old Natalie Bollinger, but he claims her death was still suicide, according to arrest documents seen by NBC News. 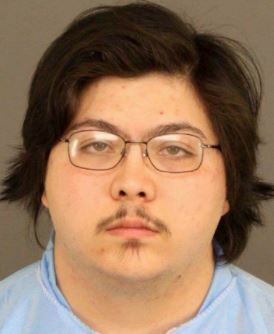 According to an arrest affidavit, Joseph Michael Lopez, 22, told investigators that he shot the teen after answering a Craigslist ad in the "Women Seeking Men" section titled: "I want to put a hit on myself." He claimed he answered the ad because he had suffered from depression and thought he could help the teen, but he ended up shooting her after he couldn't talk her out of the "suicide." Lopez, who's being held on suspicion of first-degree murder, said he prayed with Bollinger before shooting her with a 9mm gun that she'd given him. He said she told him he could keep the gun as payment. That kid looks 100% totally wholesome. Is he a "white hispanic"? Or doesn't it matter since no blacks are involved? In the "New World Order" that has been created by the liberats almost everything makes sense and it has become extremely difficult to affix blame for almost anything. Either this guy is a killer or a savior depending on your leanings and the crazy side has started to win.